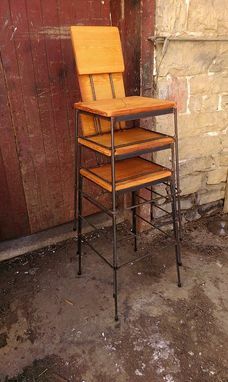 These urban chic bar stools are perfect for your kitchen, basement bar or outdoor barbeque. 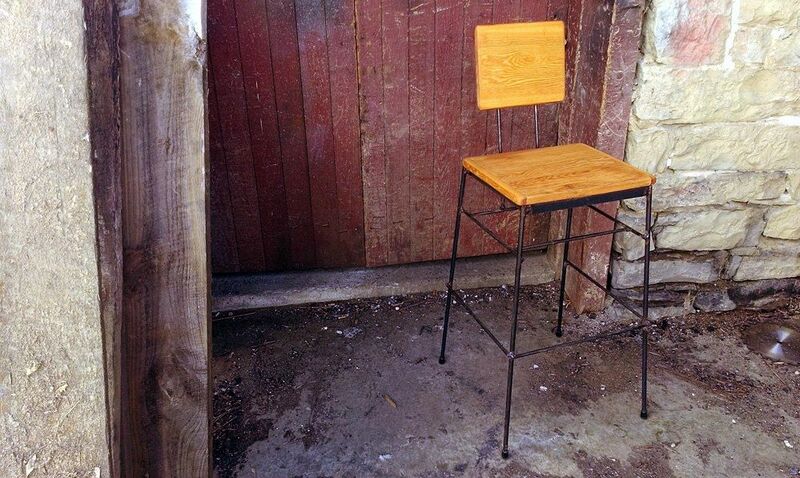 Made from solid reclaimed Douglas fir and welded industrial steel legs, they are tough, durable and classy! Pictured with a clear lacquer finish and no stain at 30 inches high and a comfortable backrest, these are made at the time of ordering and so can be customized to your specific needs.